<Honorary Academician’s Debate with Special Guest! Steven Bee welcomed the speakers and attendees and introduced the theme of the Spring Debate. He observed that Grosvenor’s approach to development chimes well with the Academy’s approach. ‘We have discovered that long term stewardship enhances the places in which we live and work. Like community sustainability and environment, stewardship as a concept is becoming more used and explored. This term is bandied about quite a bit so we felt it would be worth looking at its genesis and importance’. Stewardship of Cities – Rotterdam, Netherlands, where there is a long term commitment to change including a 12 year term of office for the mayor. ‘I would like to start this presentation with a place that is not great – Oxford Street, London. It is very successful commercially but it is stressful, polluted and there is nowhere to sit down. The ownership of the street is complex and buildings are managed separately. 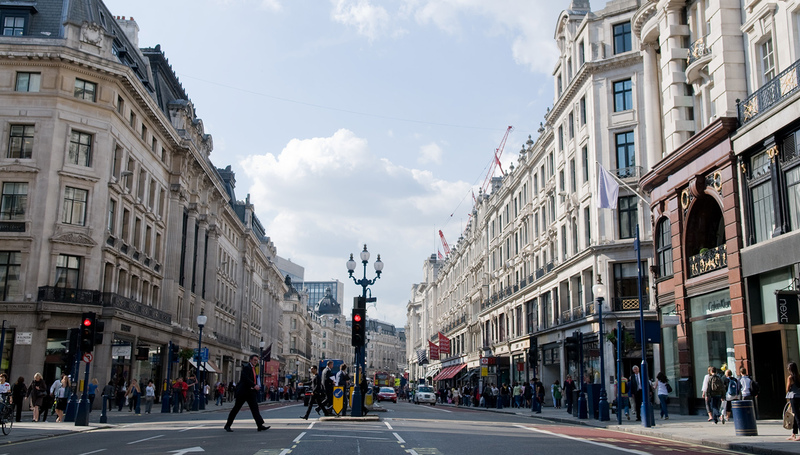 Regent Street, in contrast is managed well by a landowner. It sees good stewardship in terms of how it is run. Property owners all keep their properties painted alike and the external facades are consistent. Grosvenor is the steward for the various areas in the company’s London estates. We desire sustainable and resilient places rather than short term commercial gain. This informs our strategy and vision. London’s appeal is due to its combination of individual villages in a greater space. This interlinking is an advantage for vision, control, relationships, resources, investment. The investment is needed in the whole area, not only in buildings. Parklets are created with planting and seating. Grosvenor has put money into busy ground floor buildings/businesses to house local shops, greengrocers, cafes but they have also placed some high end designers into this context to provide commercial breadth. In terms of our stewardship, we see it as investment in the spaces between the buildings – public realm and ‘summer in the square’ type events that we run. ‘How do we enable at all levels the community’s ownership of a place and how do we engender an interest in this area? Three storey dining, practice area in Stroud. Co-housing where each owner is responsible for their own private place but shared ownership and responsibility of shared space. Co-housing is a new concept for Stroud but the local authority supported it. The key notion is how to find community energy and a wish for ownership of your own destiny. How do you mix owners and renters, ie. temporary stewards of their place? There can be an invitation to the community but there must be capacity building of a very active nature. How do communities get a sense of ownership? Definition of stewardship speaks of temporary care of something you are responsible for, for a while. In Stroud, people themselves own the land trust – 10 farms are owned in this way. They have the responsibility and opportunity to care for the land trust. If people can decide as a group what their values are, then this leads to stewardship. Alongside land trusts are co-operatives. How do people show commitment? There is a great tradition of volunteering in England and this could be tapped into. I myself am a ‘community living agitator’ and my approach is ‘urban tickling’.